Don’t call it a comeback. 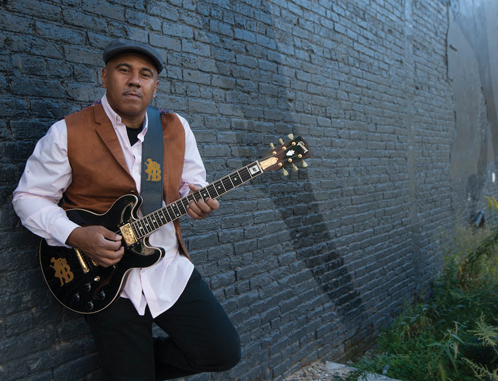 Although it’s been an entire decade since Ronnie Baker Brooks has released an album, his presence in the blues industry during that time has been ubiquitous. “I produced Eddy Clearwater’s album, West Side Strut, I did a compilation with Johnny Castro, I co-produced my dad’s last album and I’ve been touring,” explained Ronnie about his busy schedule over the last ten years. Add raising a 14-year-old daughter to all that and you get the impression that fans are incredibly lucky that he squeezed in recording his dynamic new album, Times Have Changed (Provogue). A Memphis brewed stew of blues riffs, soul crooning and social commentary, the 11-track offering is well worth the wait. With a lineup that includes appearances by the late Bobby “Blue” Bland, Angie Stone, “Big Head” Todd Mohr, Stax guitarist Steve Cropper and the legendary Lonnie Brooks, this CD delivers thrilling listening. “I’m happy to take time to record my own music,” Ronnie explained. “I’ve recorded all of my albums in Memphis because it’s a place that I can get away and work.” Times Have Changed was recorded at the fabled Royal Studios, where Al Green, Syl Johnson and Bobby “Blue” Bland recorded and also tracked at Nashville’s Blackbird Studio, With Memphis music royalty (Cropper, Tennie, Charles and Leroy Hodges of the Hi rhythm section, Archie Turner) backing him, Ronnie really didn’t have a choice except to create a significant collection of blues-based music. Of course, Ronnie Baker Brooks knows a thing or two about music royalty. That honor that he feels for his craft is all over Times Have Changed. He’s done his dad proud and written 5 of the 11 tracks and he’s honed his perspective and sound into a cohesive soundscape that builds from the past and looks to the future. 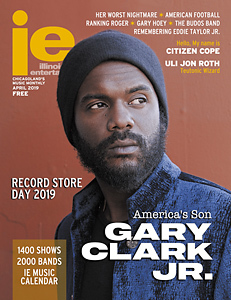 He’ll be 50-years-old on January 23 and this album presents the reflections of a seasoned bluesman who is confident in his path. Kicking off with the Joe Tex classic “Show Me,” Ronnie supplies tasty riffs with convincing soul shouts accompanied by a pumping rhythm section that dares you to stay still. That dance vibe gives way to the blues funk of ‘Doing Too Much” with Big Head Todd trading licks and vocals with Ronnie. The most crucial blues album instrumental this side of Buddy Guy appears with “Twine Time,” an R&B hit that gets a re-working with Ronnie and Lonnie tearing through riffs. Standouts include a memorable interpretation of Curtis Mayfield’s “Give Me Your Love,” with Angie Stone offering sultry guest vocals, the title track which serves up social commentary on the changing societal landscape with Memphis MC Al Kapone closing it out with a rap and a searing rendition “Old Love” by Bobby “Blue Bland.